When it comes to mass casualty events|! !| ‘an hour of assessment and anticipation is probably worth five days of recovery and recuperation|! !|’ says Clark Dumont. 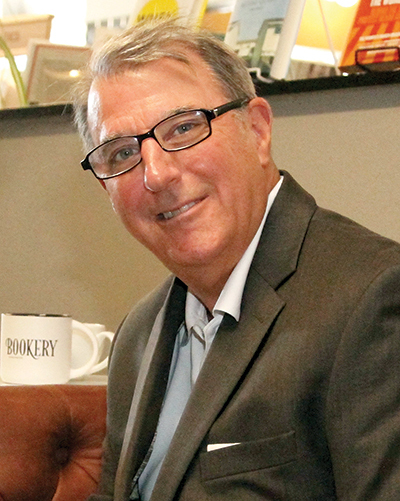 Following a decade as a journalist, Clark Dumont has worked for 30 years in communications and public affairs for a number of Fortune 500 companies. His career includes time with Anthem Blue Cross and Blue Shield, BAE Systems and MGM Resorts International. He has also spent years in the nonprofit world with the American Red Cross, City Year and the United Way. Today, he heads Dumont Communications, advising organizations on anticipating, planning and preparing for unforeseen incidents based on a strong and vital company culture. Dumont was serving as senior vice president and chief of staff to MGM Resorts International Chairman and CEO Jim Murren on Oct. 1, 2017, when the worst mass shooting in U.S. history took place during a music festival near the company’s Mandalay Bay Resort in Las Vegas. He was also involved in Red Cross efforts immediately following the tragedy. He now spends time in Las Vegas and New Hampshire. Q. What was the number one takeaway from the tragedy at Mandalay Bay? A. The number one takeaway is that out of adversity can come resiliency, and that you can actually be strengthened as a result of that adversity. Now, the key is what you do to prepare for adversity, which unfortunately in our world today can and will happen. It starts with anticipation. It used to start with preparation. But the things that are happening today, the unthinkable becoming thinkable, should cause everyone to assess what are the things that could possibly happen. As a result, doing a thoughtful inventory of “What can you do to prepare?” will help ease confusion and provide a clearer pathway to recovery. Q. You are chair of the board of directors at the Red Cross of Southern Nevada, What needed to be done to expedite the processing of blood for the shooting victims? A. On that night, I was the vice chair. The assault was at 10 p.m. The Red Cross of Southern Nevada provides blood to 10 of the 14 hospitals in Southern Nevada. One of the four hospitals that is not a Red Cross Hospital is the Level One Trauma Center. While patients were dispersed amongst many of the 14 hospitals, if an infusion of blood had not come in from the community, we could've run out. In the early morning hours I reached out to the regional executive who is in Salt Lake City, about an eight-hour drive from Las Vegas. At 2 a.m., I briefed her on what was occurring. By sunrise, they deployed a truck with blood from Salt Lake City with a further inventory from St. George, Utah, that is two hours away. Within hours the adequacy of blood supplies was assured. Within 24 hours they deployed more than 100 experts in mass casualty response from around the country. Eventually, that number would surge to more than 300. Q. What does being prepared look like? A. Being prepared is about leadership and bringing a team together that is both within your organization and outside of your organization to create an inter-organizational and interoperability approach that will assess and anticipate what could possibly happen, and then to prepare for those things that could happen. In doing that, a byproduct will be forging stronger relationships in the community with everybody who will come together to respond to the things that are unfortunately happening in our world today. That is what I mean that when you come together before something happens, it makes you stronger. When you come through a traumatic event, when the unthinkable becomes thinkable, it can make you stronger. In the wake of an incident, there will be “fog.” What you want to do is to try to take as much fog out of the situation as possible. The antidote to the fog is assessment, anticipation and preparation in an environment of inter-organizational interoperability that brings and unites the community together through trusted relationships. Q. What's the upside of being prepared? A. The upside of preparation is forging relationships of collaboration and cooperation. Everybody will and should know what their role is, and they know each other. Those relationships will help everyone involved to go farther and faster. To paraphrase an African proverb, “if you want to go fast, go alone. If you want to go far, go together.” So, by coming together and working together, you will be able to go “farther” and you will be able to get to the point of recovery, healing, strength and resiliency more quickly. Q. In Las Vegas, post-trauma comfort came in the form of community caring from the brand new Las Vegas NHL team, the Golden Knights. Explain how that was helpful. A. Humans try to get back to some semblance of normalcy as quickly as they possibly can following a traumatic event. Part of the process is mourning and grieving. In Las Vegas, we saw this fabulous NHL expansion team that skeptics thought would never win in the desert. They weren't a relocation team. They were a Las Vegas team in a city that is known as a place of restarts. So, for the players, many of whom were made free agents by their previous teams, including Colin Miller who played with the Monarchs and then the Bruins, they found themselves in a city that they embraced and that quickly embraced them. You couldn't have written the script any better. There is a playbook that sadly has and is being written all the time about how communities respond to mass casualty and mass disaster events. A part of this playbook is the role and importance of sports in uniting and galvanizing a community. We saw that with the Boston Marathon bombing, and how the Red Sox and “Big Papi” said, "This is our city," and what the Red Sox did to help rally the community. So it was with the Las Vegas Golden Knights whose season opener was the week after the shooting. The Knights, like any smart organization, reached out to another organization – the Red Sox – to learn from their experience. To quote Sir Isaac Newton, they stood on the shoulders of giants. The hockey arena, as such, provided a galvanizing place for people to come together, and to unite against the adversity. It got us back to a healing place more quickly. #VegasStrong has become #VegasStronger. Q. What's a surprising thing that can come from adequate preparation? A. Being adequately prepared allows you to more quickly get to a place of stability. If you can get to a place of stability more quickly, you're going to get to a place of recovery, healing and resiliency more quickly. I like to think that an hour of assessment and anticipation is probably worth five days of recovery and recuperation. It's like muscle training. You're training the muscles to be ready for when an event happens, and then you're able to get through the event more quickly and in a better way. Q. New Hampshire has several large capacity venues. From lessons learned in Las Vegas, what advice can you offer crisis management professionals in the Granite State? A. It's all about the initial assessment, and that is best achieved by bringing as many people as you can together. We're all smarter when we work together. Essentially, it's about assessment of potential vulnerabilities, anticipation as a result, and then preparation. It's about having a network in place that is ready to go when those bad things occur. Then, it's about anticipating the human condition that is going to want to come together to share, grieve and mourn. As such, having protocols and venues in place when the mourning sites occur for the pop-up memorials, the flowers, the bouquets, the stuffed animals. And then, also be prepared because people are going to want to give. They're going to want to give blood. They’re going to want to give of their time. They’ll want to donate money. So, having a donation site, a website, set up and ready to go, that is preferably a 501(c)(3), nonprofit, tax-exempt repository with an organization that has the capacity to manage those funds. Eventually, and quickly, a community effort will be set up to distribute funds to victims. In Las Vegas, like in other communities, a volunteer panel of 17 residents was convened. They represented the cross-section of the community. They were guided by attorney Ken Feinberg and his colleagues. Ken Feinberg has become the judicator or the thought leader in how money is dispersed to people who are affected by crises. He will come into the community to assist, not direct, the process of assessing how funds that have been donated for victims' and family assistance should they be dispersed. That is one of the hardest jobs going, because you're having to make really hard decisions about how what is this worth compared to something else. Q. Some New Hampshire residents might feel that a Las Vegas or a Parkland incident could never happen here. What do you tell those people? We don't want bad things to happen. We hope they won't happen. But today, hope is not a strategy. However, preparation, anticipation and assessment are a strategy. The best way to not only survive, but to thrive through that sort of challenge is to be ready and prepared. Q. How should New Hampshire corporate managers be preparing, should they find themselves with the unthinkable becoming thinkable? A. I would tell them get to know your first responders. They should be loaded into your phone, so that you're not stumbling in the fog should an event occur. Also, understand that you are a part of an ecosystem. You're a part of a community, and you want to be a healthy part of that community. Also, get to know your healthcare system. Get to know the therapy community that is so very important in these situations in assisting people. Everybody becomes a victim in a traumatic and mass event, whether directly or indirectly through some level of post-traumatic stress. Get to know, and support, the nonprofit community organizations, agencies and programs – voluntary organizations active in disasters, like the Red Cross. If you’re hosting a major event, bring these organizations together in advance to meet, build trusted relationships and work out protocols. Q. So, in addition to putting people's names in your phone and being able to get them with a touch of a button, should you proactively reach out to these first responders and other law enforcement organizations? A. Yes, you should. I think any prudent leader should be thinking that way in today's environment. And, it's about having those open channels of communication that are ready to go. It's not only Police Chief to the CEO or COO, but even down and through the appropriate ladders of the chain of responsibility in the organization. Safety, security, assessment, anticipation and preparation is really everybody's responsibility. It goes back to if “you see something, say something.” In today's environment, everybody is responsible for creating a culture of preparedness and a culture of safety. Q. You've given a lot of good suggestions to be proactive and have everything in place. What's the downside of not doing that? A. Unfortunately, we often see the impact of not being prepared. Being prepared is a big part of what Greek philosophers called “virtue ethics.” Your character will determine the actions that you take. Virtue ethics is doing the right things at the right time in the right way. Being guided by virtue ethics will help ensure your organization is sustainable with a sustainable reputation. The bottom line is reputation is tangible. Twenty to 30 percent of a publicly traded company’s stock value is goodwill. Goodwill is reputation. Q. You mean you can monetize that? A. You can monetize it. It's fungible. It has value. Look at organizations like Southwest Airlines. It had an unfortunate incident involving one of its passengers earlier this year. How its CEO responded by using virtue ethics, by immediately taking accountability for the incident, by sending a go team to assist the passengers' family and being with them. While it didn't make the situation go away, and didn't bring back a life, it was insightful to the culture of the organization, and why Southwest continues to have a pre-eminent reputation. Not doing the right things right can put a company’s reputation at risk. Anybody wearing a CEO, COO or a CFO hat or who is a board member or who is a stockholder thus needs to be concerned about reputation.